11 years ago this evening, Paula and I were off to our Paris adventure. 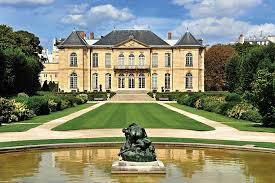 My favourite place, the Rodin museum. My sister-in-law is in Rome eating pizza and visiting the Vatican. I’m revising data-sharing contracts, working like a dog, and can’t figure out anything to do for my 25th wedding anniversary. I need to reprioritize my life. Paula, we need to plan another trip. Stat.